Through no choice of its own, Detroit has become the living laboratory where the key elements of “educational reform” get tried out. Twenty-five years ago, Detroit Public Schools, like many urban school districts, faced serious problems that it appeared unable to solve. Its students were not learning and the public school district was deeply in debt. Something needed to be done to prevent the district from total failure. The depth of the problem proved to be a perfect opening for market-based “reformers” who saw the solution in radically changing the way we provide public schooling. They put forward a vision for improvement driven by two core principles. To improve the schools’ educational effectiveness, it was necessary to create an educational marketplace that allowed parents to choose the schools they believed best for their children. Families would self-select schools that were more effective, resulting in failing schools being driven out of business. Second, strong, businesslike management would cure the district’s economic problems. Reformers saw this approach as one that would give all children, rich and poor, equal opportunity. To resolve Detroit’s fiscal problems, state-appointed managers were given the power to control expenses and manage the public schools. 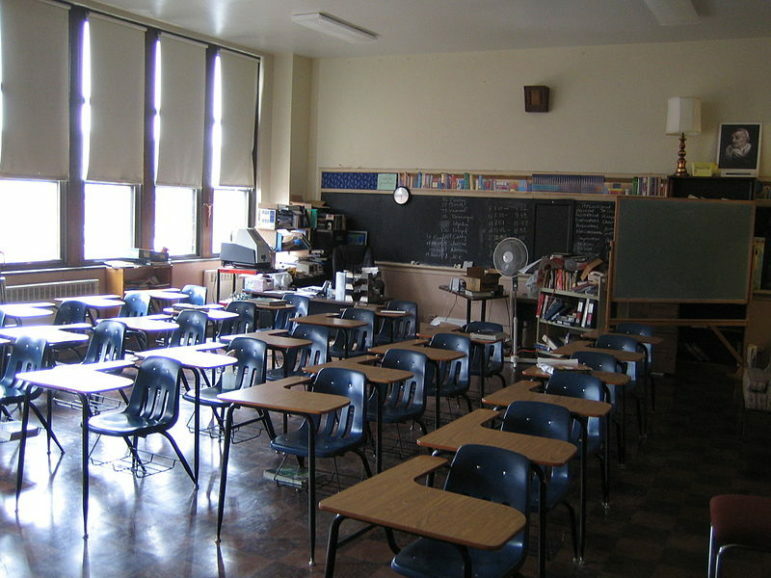 Despite years of cost cutting, “by July 2015, the district’s general fund deficit was close to $216 million and the net deficit was a yelp-inducing $1.6 billion.” With money following each child to their chosen public school (whether charter or traditional) and no common management authority for public education in Detroit, the public school district has been unable to deal with its fixed costs under the weight of hundreds of millions of dollars of school funding being diverted to the charter sector. A new state plan to keep Detroit schools from bankruptcy continues to see strong management as the solution: “Starting this year,” according to Gross, “the district could hire uncertified teachers, penalize striking employees and outsource academic roles, like the superintendent position, to surrounding districts.” Deeper, systemic changes were not part of the plan. Trying to run a traditional model, where schools are a public good and require a certain amount of public support and public resources, in parallel with a charter system is a death by a thousand cuts. It’s a way that will guarantee the destruction of the traditional public schools but not place anything effective as an alternative. But, at least in Michigan, this lack of success has not led to a rethinking of the basic strategy. While the economics remain disastrous and the educational results still poor, those in charge don’t consider the strategy itself flawed. Detroit’s experience is important for more than just its students and citizens. These same strategies fueled school reform efforts in the George W. Bush and Obama years, and we can expect the incoming Trump administration to support their expansion. Incoming Secretary of Education Betsy DeVos was a major force behind the Detroit experiment, and she strongly supports converting traditional public schools into fully market-driven entities.